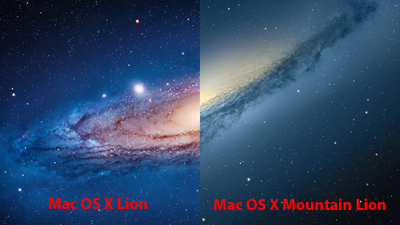 With the inevitable release of Apple's OS X Mountain Lion this coming summer, Mac fans and lovers are going gaga. Aside from its a little varied bluish-tinge-unlike-that-of-Lion-with-reddish-dots wallpaper, do you really know what makes Mountain Lion different from all other Macs. With the early release of it's developer preview we have some perspective of what the new Mac OS will certainly be most likely. and the new Mac OS X Mountain Lion wallpapers. Also dubbed as OS X v10.8, Mountain Lion of the Mac OS X series has all its features inspired from iPad, a series of tablet computer also designed and sold by Apple, Inc. This is the ninth release of Mac OS X that started way back in 2001 with the release of Mac OS X Cheetah. All operating systems in the 10th series (hence the X Roman numeral for 10) were named after from the large members of the feline family. 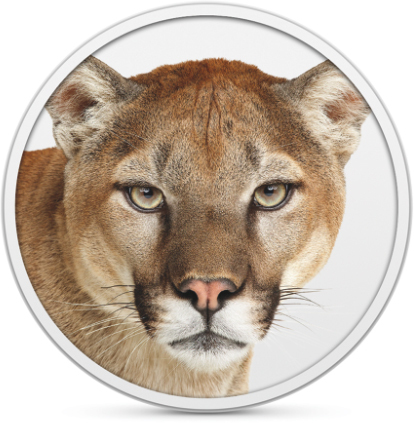 By far this release has dropped "Mac" from its name, making it officially called as OS X Mountain Lion. This is an old feature that was highly improved to include Open and Save dialogue boxes among all built-in applications, iWork and other third-party application that uses this API.This includes an all new UI for viewing and managing files that falls under the category of the application being used. Automatic synchronization is also supported. An old feature but was renamed and improved from iChat that could support services provided by iMessage. This is a to-do list application with notification system that is entirely different and separated from Calendar. This is also an iOS. This application was once combined and included in iOS and Mail app, but obviously developers find it more appropriate to separate it and make it as a separate application. This newly separated app now supports desktop notes. This is a feature similar to which it was introduced in iOS 5, but has now desktop support. With this feature all applications are located and concentrated on the corner screen and the Notification Center can be pulled from the right hand side corner of the screen. this adds the "Share" button to the Safari browser and other related applications. This feature presents the dialogue box for sharing items along. As the features name implies this is an integration with twitter for easier use and manipulation of your twitter accounts. This is a feature cloned from iPhone OS. Game Center is an application released by Apple for online multiplayer social gaming network, where one could invite friends and play games among themselves. This feature is for user protection against malware that detects such anomalies through digital signatures and information from Mac App Store. There are more features other than these ones like the Time Machine and other Chinese supported features like Baidu, Youku, Tudou, Sina Weibo, etc. Some applications were renamed, obviously to make somethings fresh: such as Calendar from the old iCal; Contacts, which sounded more appropriate than Address Book; and Messages, which is an improved and more streamlined version of iChat. Unfortunately there are also some applications that were dropped from this release. Such applications include RSS support for the browser Safari and Mail application; Software Update, which was now integrated into the Mac App Store; and many more. As always, nothing beats the Mac's sleek look and lighter-than-ever built. With iPads rule on the mainstream, it is ideal that Apple, Inc. should incorporate into the Mac Series what makes an iPad a hit among consumer and Apple lovers alike. It is natural that we, the users, are easily attracted to the hotness of these beauties. Aside from the fact that Mac OS are never attacked by viruses and seldom inflicted by malwares, Mac OS are definitely for the rare, the non-techy and the high society. Who doesn't ever want to belong? Even Windows upcoming release, the one that is called Windows 8, couldn't match the beauty of this OS. Yeah, it tends to copy Apple's aesthetic superiority, but I have reason to believe they are still a few decades away. What with all its bugs and virus attacks, which is mostly a consistent trait of Windows OS? Apple, Inc. designs and manufactures most of their softwares and hardwares on their own, in which Windows still have to rely on other hardware manufacturer to incorporate its Operating systems or softwares.